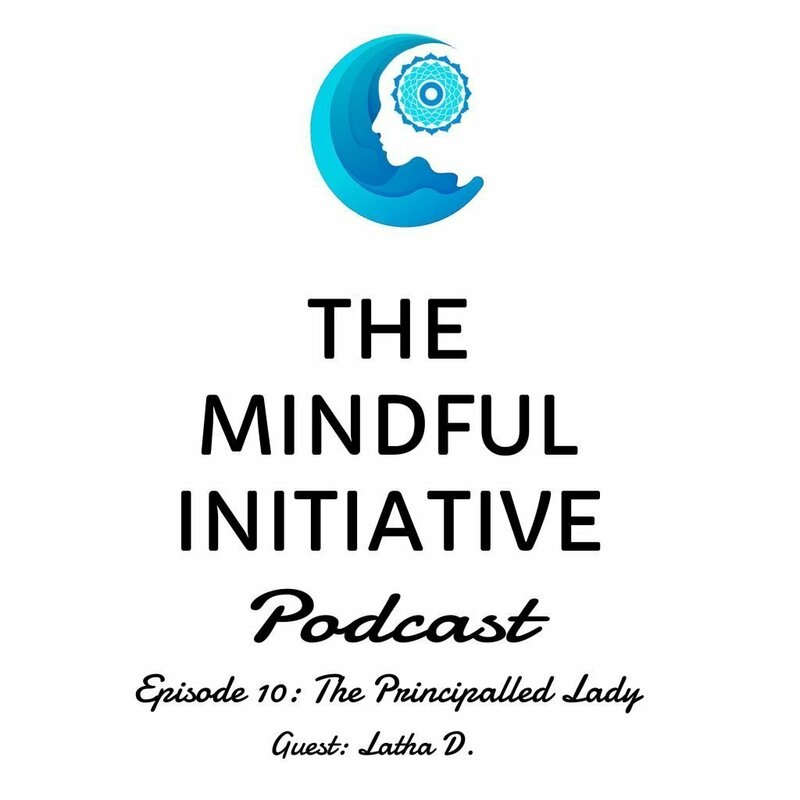 This week our guest is Latha D., who is the Principal of Parikrma School, which is part of the Parikrma foundation. A teacher, a daughter, a mother, a wife, a Principal and above all a great human being, Latha has overcome many barriers in life to be who she is today> She lost her daughter to suicdie, where her daughter was only 13 years old. To over come this tragedy and be who she is today, helping children from impoverished background is one incredible story. Hope you enjoy listening to this podcast. Nitesh B.: Hello and welcome to another episode of the mindfulness initiative. I am your host and today we are honored and privileged to have amongst us Latha Damodran, who is the principal of center for Parikrama Center for Learning School in Jayanagar, Bangalore. Nitesh B.: Welcome Latha. My first question usually to all our guests, revolves around their personal life, what they have done so far and what brought them to where they are today. So if you can tell us briefly a little bit about your life, your upbringing, maybe your family and what led you to the current position that you’re at. Latha D.: I was born and brought up in a big family. I have four sisters and four brothers is a big family and then started schooling in Bengaluru, Magadi Road and then my mom was a teacher and I studied in my mom’s when she was working in her school. Then I don’t have exactly what I wanted to do in future. Maybe my gene, the teacher is there. Maybe, in the beginning I thought of I want to become a teacher. Then I saw my brother, uncle, everyone is a teacher. Then my mother said, no, don’t take that just do anything else. Then I joined Bachelor of Science (B.Sc). And then my. I had no idea what I want to do, like a Physics, Chemistry, Math (PCM) or computer science I just go with the fees structure itself, Rs. 1000/- for PCM. Then because of my family background, I thought I will take PCM. Latha D.: Then after I completed and I joined in Life Insurance Company (LIC) as a computer trainer. I’ve worked for one or two years. Then my mom said, that’s not the age to earn still you have to do more in your life. Then afterwards I continued my career. Then my mom got retired and she said, can you get married? I said, no, I’m in the middle of studies. I didn’t want to get married. If anyone agrees to continue my study, then I’ll get married. I didn’t bother about whom I’m going to marry, what he is doing tall or dark, anything just. I said, okay, because my only ambition was that that I want to continue my studies and then I want to do Masters in Math. Then I got married and as usual, you know, and until just step into other family, they won’t agree and they want like a in daughter-in-laws. Latha D.: Okay. they want a daughter-in-law who has to work in the house. Then after there was a gap in my career. Then I gave birth to my three daughters. My daughter knows very well what my dream was and when she was in first standard she said, mom, why don’t you continue now? Because you are in kitchen, but you have done your B.Sc and you are still in the kitchen. Not doing anything but only taking tuitions and what I did in mean time was that I did a one year course in ITI tailoring and I was interested in even fashion designing and everything. Then I used to teach stitch, Saris and falls and I used to earn money. They said it’s not supposed to be like this you should continue your studies. Can you please continue? We’ll manage. When she was around seven- eight years old, she told me continue, mom. Then after I joined in computer programming software, I did my computer course in hardware and software. Latha D.: Then I joined a school where my daughters was studying. Then I joined as a computer teacher. I worked four years and one of my student from the same school she was working in Parikrama school. I come to know from one of my colleagues in the school. Then one day met her and she said, well, why can’t you join the Parikrama school and then just as like that I went for interview and then I didn’t have any idea to leave that school because my three daughters used to get free education there and only to pay any fees in my school. I work there. Then I went and then I met our CEO and also Kalpana, who is head of programming and when they said, okay, there are few questions and I answer. Then they ask a new work in two schools. Actually one more branch was in Sakanagar, Jayanagar and I didn’t know where Sakanagar was school, but I said okay. Latha D.: And then I went back to school. I want to say to my old principal, like I’m leaving and he was in shock, and then he scolded the HRuh, what did you do to Latha, why is she leaving the school, she is a good teacher. I just said that I need some change. Even after I left, they didn’t charge any fees for my daughters. Till today, I remember what they said, that, the door is always open for you. Anytime you can come and join. I have kept in touch till now, any new thing I do, I still go and meet sir. Even any program in school, like school’s annual fuction or science exhibition we are still invited. We have had a good relationship with the school kids and others. Latha D.: Even today, the school students, they keep in touch with me. Deepak invited me for his son’s birthday and I visit the school more often. Then I joined Parkirama school as a computer teacher, but now I’m head of school really I never never done this because you know it is seven year there was not doing anything, not doing anything, just stitching clothes, anything that really. I think there’s a. God is there and I joined as a computer teacher and I worked two years as a computer teacher and I was helping my class students in math. then they got to know that I’m good at math so I got an opportunity as a math teacher and math coordinator and slowly Iimproved what I’m today’s is only because of Parikrama even though I worked for four years in other school, there’s no improvement and whatever the knowledge I had just delivered there, that’s it. But here I got to know, who’s Latha, what’s my strength? Thank Parikrama for that, even in my presonal life, whatever the tragedy happened; I lost my elder daughter. Even now how I am facing that because of Parikrama, I don’t know how I started working again or the training we are getting in particular growth lab, inward change conference, those all training made me to think that’s not life or the only life. Still life is there. So what I am today is because of Parikrama and support of my children. Nitesh B.: So there are a lot topics that you touched upon and we’ll talk about a few of them as we go forward, but Parikrama seems to have had the greatest influence, but you have had a great foundation. The ambition the support from your family and the support from your kids. And I’ll talk about your kids. I uh, so one of the things I did get to know what’s about your daughter and the tragedy that you mentioned. Is it okay to talk about it? Latha D.: It’s fine. Because of what I am sharing, what I’m sharing the other mothers will get help. Because I’m very emotional, If I speak about my daughter, definitely get tears. Nitesh B.: I’m extremely sorry. And when I heard the story I was was really saddened, but that’s a story of many of the other children as well and one of the things that I did want to touch upon was what are, some of the learnings that we can take out of it because there are many kids who are in a similar board and suicide is one of the biggest issues that our country faces today. If we look at adolescent suicides and suicides in general, India is one of the highest countries where suicides happen. So that’s why I thought it. It’s something that we can just touch upon and, and the way you have come out of it is in itself an example, and we don’t want to make examples out of a tragedy, but that’s the most unfortunate thing, but do you have two other daughters as well who still are growing up and I don’t know what went through their minds and what went through your mind. So can you, can you just briefly talk about what, what happened and what happened after. Latha D.: Definitely, I mean definitely. I don’t want one more mother like me, like losing their daughters and one that does the child needs to know what happens after the suicide to mother and her families. Actually she was my elder daughter. Nitesh B.: What was her name? Latha D.: Praveena – Even though this newly constructed house, and I named it “Kamal-Veena” Kamal is my grandmother’s name because she is the one who gave me a good husband and Veena is my daughter and I joined the two names. She was very courageous from the beginning. She was a class one like go. I studied in Tamil medium. Even today I have inferiority complex, like I’m not good at English because I studied them Tamil medium till seventh grade and then later on in high school. Also the high school teacher used to say, you people Tamil medium and you can’t understand English. Latha D.: That’s where they used to teach in Kannada or Tamil. That’s all. But now I’m talking here that is because of Parikrama. I put her in very good school but she had a color complexion. Maybe my family expected male baby. Unfortunately I gave birth to three female babies. I’ve gone to a lot in my mother-in-law’s place. Maybe I found the reason, at Parikrama, where we had the personal growth lab. I found out why my mother said no to female daughters because they were four daughters. My mother-in-law mother died when she was very young. That’s why she’d gone through lot in her life. That is the reason she said I don’t want a female. Then I came to know after the training and then after that maybe that was there in our mind, because my husband did not come to hospital to see her because I gave birth to a female baby, she was the first granddaughter and slowly she grew to be very good in academics, in co-curricular, everything. Latha D.: She’s all in one even she is very strange. Even she used to practice in pencil. That’s how she used to think. Even the last day she wrote a letter, sorry I am wasting a new dress and she gave value to gold. She kept all her gold things, earrings packed. Even when she was in UKG, she was asked to underline important sentences on the exams. Even when she was in first standard, until she finished her portion of her work. One good practice she had was that she would write and practice. That’s how she improved her academics. That point I said, underline the last death note in that she mentioned nobody is responsible for my death. There she underlined! Really difficult for me to digest or for what purpose, I asked her to learn these things and how it’s important for her examinations and instead she wrote a clear letter, like it’s a plan or destiny. Latha D.: She wrote mom, Yamraja is waiting for me. I’m going and definitely I’ll be reborn again and she mentioned the name of my sister’s daughter name Divya and that time she was studying engineering. My sister’s daughter name was clearly mentioned and it was said that I will be reborn again, but sorry, now I’m going as a casual letter as she will say I’m going to my friend’s house. She wrote this letter and she sent a message to more than 300 people like, okay, when you are leaving you have to be like this but lastly a Smiley face. Everyone thought that this is a forward message for fun. One day before there was a small mistakel. What’s the main reason for her suicide is anger. Because she was my first child, whenever she wanted anything, I never used to say no. Latha D.: If she wanted to sleep on the bed, then I would make my second daughter on the floor, whatever she asked, I gave. I never said no to her, Veena will get angry, so let me give this to her. One week after her death I got her college results she was in first year diploma and she stood first in college. She never planned this, if she planned this she would have never studied for her exam. After that I read her diary. Latha D.: When she was there, I didn’t want to touch her diary. That’s why I never used to read her diary. And after I death I read her darly, she had written an article about me, about her father, about my school, about her principal, her grandmother. In the diary she clearly mentions, she wants to study and give a good life to my mother, and take care of my dad. That’s her dream. We don’t know waht happened – maybe she didn’t know what she was doing, when she did this. Latha D.: That’s too was in front of her grandfather and grandmother photo and she was neatly dressed, she had taken bath and her hair was not dried wet. That shows she wants to be good looking. Maybe that colour complexion is there, I think. My sisters are fair, now that I am working in Parikrama and we have life skill classes even Psychologists from Sukrut Pschology, every day they are there and one-on-one referral we are giving, students can go anytime and they can talk to them what they are feeling. Even we are using friendship bench whenever they feel like they want something, they’ll sit there. I feel really this in my daughters school, this may not have happened. I am spending a lot of time with our school students, I see a student in class and I can easily find out something is going on his or her mind. That’s why I use call the student and ask what happened. With this I think I’m saving too many students lives. Nitesh B.: That’s something that I have noticed at Parikrama, when I was there and friendship bench and some of the other initiatives that have been undertaken, but coming back to your daughter, I’m again, extremely sorry that this happened and that is true that teenagers and young kids, they don’t know what they’re doing and there is so much impact of media that creates a vision of this is the way one should be, this is the one they should look like and it’s hard to change those biases in certain ways so at Parikrama one of the things that I’ve heard from you and some of the others is that even if kids are having the school, children are having issues, you would go to their parents house and speak to them, so those interventions are even much more deeper rather than just being at school as well. Can you talk about some of those small initiatives? You talked about the friendship bench and if you can explain what that is and some of the other things that are happening at Parikrama. Latha D.: I don’t want to mention the name of one child last year, whom I used to speak to one to one, he used to be quiet all the time. I asked him why is that the case, and he said because my father doesn’t like me, he likes my sister. I said parents like all children, I would like to show you a Tamil movie – EmMagan and I asked him to watch it during school hours in our staff room. After watching the movie, he said now I understand why my father is really strict Akka (Latha). I also spoke to the father and asked him to spend some time with his son, maybe go out for a movie. After a while both of them understood very well, now he is doing science in college. Nitesh B.: I think these are some of the ways that you can make changes in kids’ life. One of the most important thing, the lab that you were talking about is listening to yourself and having the ability to listen to the others as well and I think especially for the kids, the age they are in the not too many people that they can speak with and the way I feel Parikrama is filling a gap in the society so there is a huge divide at least in the Indian society and all across the world as well. Within the social economic strata that we live in. Can you talk about the. What kind of kids come to Parikrama and how you choose them, but if you can tell little bit about the school so our listeners know more about Parikrama as well. Nitesh B.: Parikrama means circle, complete circle joining you. We take kids from UKG and they finally leave after 12th, we take care of them throughout. We select students who are underprivileged background, single-parent or orphans. We used to get 100 applications for only 25 seats and it’s very very difficult to filter students because you hear the background, what they are seeing, the background story, we see everything. We would like to give to seats to everybody but it’s not possible and so the school head and community development services will go to the area and do a survey, we ask siblings if it’s real. We don’t want to give the seats just based on what someone says, because they may say something and reality maybe different. Latha D.: We are very poor. We are coming from here and we want to make sure we are giving it to the right person. That’s how screening test will be happening. They will join in UKG and stay with us till 10th grade in our school. Then we have four branches thing and a common college, which they will join. They will write the entrance exam and based on their marks they will get admission. One of our alumni is a dentist, another is doing hotel management and we are very proud of alumni and I am very proud to say that I work at Parikrama. Something good I must have done, that’s why God showed me Parikrama school. Even though, I lost one child, I feel like I have so many of them. 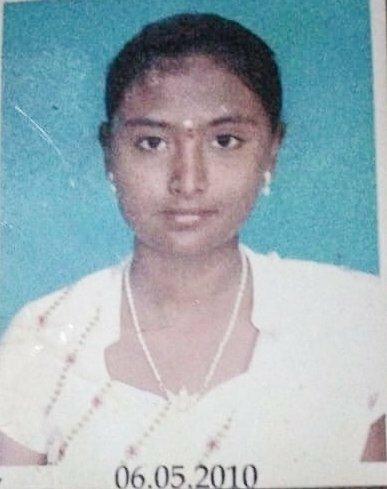 Latha D.: They say Akka (Latha) don’t worry, we are there sometimes on her (Praveena’s) death anniversary, I used to cry at home and I won’t do anything, but now I’ll take my students to blind school. I never say, that’s why we are there. Knowingly I will give uniform for them, like I’ll pay uniform money, those who need, but I won’t say I paid. I feel like that I’m doing good now. For the last four to five months, I started giving money to AIDS patient for medicine, like how much I can give. I said till how long I can give, I will give every month before. I never used to think about all these things after my daughter death I’m thinking what I can do for society, what I can do for this. Maybe through this she’s making me to do good things, I don’t know, but really I’m saying self satisfaction is there. I work definitely and everyday challenges are there. But I am learning from these new challenges and every day is learning at Parikrama, but really I’m saying self satisfaction is more impactful. Nitesh B.: if you have to talk to the parents and tell them that this is something that they should do for their kids because you deal with kids from all age groups. What are a few important things that you would tell them that they should be doing for their kids because one of the things that I feel is that is lack of communication between children and the parents and there’s so much change that’s happening around us from when we were growing up and with this new generation with the Internet coming in mobile and the media. If there were a few things that you could recommend so that they can understand each other better and then maybe have a better relationship, what would those be? Latha D.: For that we started two years ago a Parents sports day until then we had junior sports day and then senior sports day. Then we said why can’t we start parents sports day. And with that bonding started, before that the parents coming to school was very less and they would have thought Akka (Latha) would be calling us for some complaint. Now, they have a different mindset. We also have a wellness program, before we had high alcoholic percentage and now it has reduced because we have de-addiction program. Even medical checkup. We started a tailoring, beautician course and spoken english classes and their English improved. They moved from the stalls in the street to the shops now. There is a lot of differences. They improved a lot compared to when I joined in 2006, to now, there is a huge difference. If you see students parents now, they have dreams about what their kids can do, what they want to become. We see a lot of change, but now when we call, they believe us, Parikrama teachers are saying so that means it’s good for my daughter. Latha D.: They never say no for anything. Then they know very well we are doing for good purpose. Even recently, one of our student, Meghana, she went to UK, US, San Diego. She was a merit student and she was selected. When she was in Sakanagar in class five, that was her dream. This year she visited the place and she enjoyed and she written a letter to our CEO and just reading that letter, I had tears in my eyes. What she learned there and those experiences she had written in the letter and she wants to implement them in class and share it with others. That’s how they want to believe us. They don’t worry about sending their child alone because they know Parikrama will take care. Nitesh B.: We have a few more minutes before we come to close. In terms of Parikrama and, some of the things that you think are challenges to overcome in the next few years for the school and maybe for yourself. What do you think or where do you place yourself in a few years? Where do you Parikrama in a few years? Latha D.: I want to say I love teaching rather than being the head of the school because I love mathematics. Even, when I see the students studying, I want to go. Last year for class 10th, I taught mathematics for the whole year. Maybe the challenge is how the bonding happens between the students and teachers and that is very, very important. Like generation is growing live in. Media is on developing, where they will go. What and who will change them? Before we have to re-charge for the interent Internet and but now it’s almost free. Iff you go to youtube, just type how to maybe the child wants to learn something, but you can see the options. Latha D.: Maybe the students is really eager to know about something but there will be options like how to kiss will be there, because they want to really want to know about sciences but if you see the options. Suddenly their mindset will be different why can’t we check what is there that way to make some restriction to use youtube, facebook, whatsapp. Even my family, I have one mobile and my husband one, my older daughter has one and my younger daughter has one too. Even when she is sitting next to me, I will whatsapp and she will say, mom you are sitting next to me why can’t you really say. Technology is very good but how we are using technology is very important. Latha D.: Before computers or interent, if I had to explain something, for example in science, I had to use my imagination, like the heart is this way, left ventricle or right ventricle is this way. But now 3-D animation picture shows very clearly how things work. It’s very easy to remember and just write in the exam but how you are using technology is very very important and the bonding is very important with the parents. It’s because we are all busy. Before we used have a small house like everyone used to see their faces. Now you have one room. When my elder daughter has one room and so does the younger one. There’s no bonding in family. All in happening in the technology hi, bye and everything. If we are really lucky, we will speak to them and now it is even me at 45 years want to take a picture and put it as my display photograph (DP), that’s how even we are changing, but we need to create more bond between students and even family as well as outside school. That is very, very important. Bonding, changes everything. Nitesh B.: I think that’s important for confidence, self confidence and that’ll help them move forward as well. If they have issues, they have someone to speak with, someone to look up to or someone who is just there to listen to them. I think all the things that are important and yes, technology is the future. That’s what we have been listening. That’s what we have been seeing for the last many, many years, but of course restrictions are important. The right use it and the understanding of technology is also very important and how we put that into our day to day life is the key. Latha D.: Even now restriction is there now, they will ask, what is your age, but how many of us will write the right age, maybe 18 years old, maybe the child is born in 2000 and will write 1976 or something. The computer accepts. Why can’t we ask for some documentation like the Aadhar card or something similar. We need to do something strictly to find their age to open email etc. Nitesh B.: There should be some enforcement from the government or people who are providing the Internet so that right kind of information goes to the kids or whatever. Whoever is making that decision for us, so that’s very important. That being said, thank you so much for sharing your thoughts, sharing experiences, sharing about Praveena with us. I think it will go a long way to listeners who will listen to this. I think in future if any child or any parent is going through this thing, if they listen to this, this will come to them and then hopefully in the future they will not think of these consequences are the things that they have done. Thank you so much for taking time and coming here. This entry was posted in Blog, Meditation, Podcast and tagged Mindfulness, Podcast, The Mindful Initiative. Bookmark the permalink.